American McGee is best known for his haunting revisions of Lewis Carroll's Alice in Wonderland. Now, he's taking a grim twist on Little Red Riding Hood, and leading his studio, Spicy Horse, into a publisher-free future. It’s strange that so few games reflect their creators’ own stories. Not in an autobiographical sense, of course, but in an allegorical sense. Very few games really echo the conditions and the mood of the studio in which they were created, or aggressively demonstrate how a studio is thinking, where it has come from, and where it’s going. There are plenty of games that demonstrate how publishers are thinking. The organisation of the games industry almost demands it: studios must pitch projects that publishers are prepared to invest in, and what publishers are prepared to invest in is usually determined by market research. The clear problem is that by its nature, market research can only tell us what has been successful, and the extrapolations on what could be successful in the future are rather narrow. That would explain the glut of me-too MMOs and shooters at least, and the frequent lack of innovation in many boxed products. As videogame production and marketing costs toe the red line, any risk becomes that much riskier. It’s precisely for these reasons that Akaneiro: Demon Hunters is so interesting. 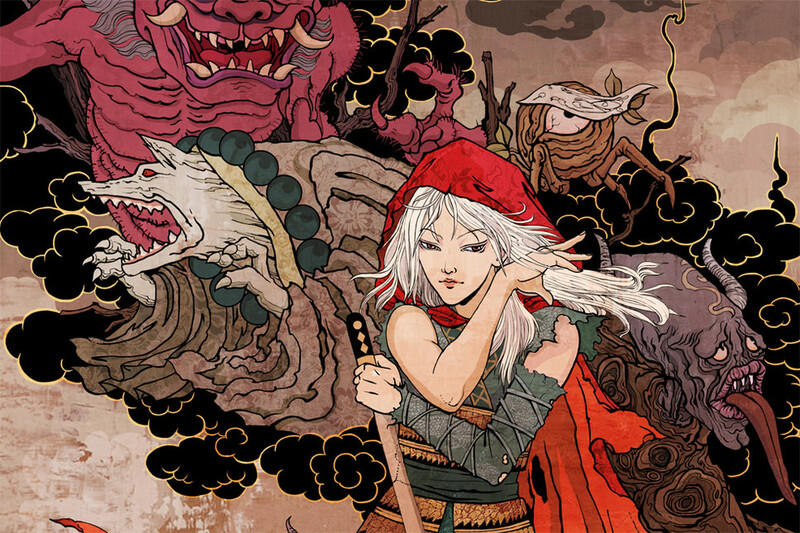 Currently in beta, Akaneiro is Little Red Riding Hood meets feudal Japan. It’s a self-published cross-platform PC and tablet game by Spicy Horse, a studio known best for its warped videogame revisions of Lewis Carroll’s Alice in Wonderland. 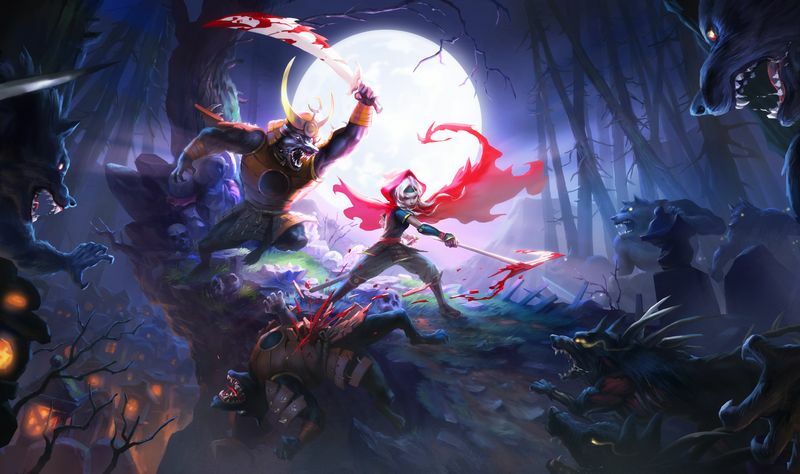 It doesn’t break much new ground insofar as the dynamics that define the action-RPG genre, but aesthetically, it is quintessential American McGee, and a loud positioning statement by the Shanghai-based studio about its future, and the future of the wider industry. In more ways than one, Spicy Horse is well positioned to manage the convergence of Eastern and Western folklore in Akaneiro. Perhaps despite his unusually patriotic first name, American McGee says he fell in love with the idea of living outside the United States, and particularly with the idea of living in Asia. I made that move knowing that the project I was going there for was a bad one. Working with McGee is chief operating officer and fellow US expat RJ Berg. Creative director Ben Kerslake and art director Ken Wong both hail from Australia. Chinese nationals hold most of the other key positions, says McGee. “About nine to 10 years ago I first started coming to China, and I immediately saw a really unique opportunity that it seemed no one else had noticed. Western gamers have been unknowingly playing Chinese-produced content for quite a while now, but the people working here were stuck having to work for an outsource shop where they don’t get a lot of creative control. While McGee doesn’t believe a game’s appeal is limited by geography, his studio’s international team and unconventional location can only help it in a creative sense. Alice: Madness Returns was the first boxed retail game to be fully conceived and developed in China. The game was a mechanically sound – if perhaps too conventional – action platformer. It received generally favourable marks from game critics and – anecdotally at least – higher praise from players for its compelling revision of Carroll’s Alice as an abused psychotic, and its interpretation of a twisted Wonderland riddled with cancerous industrialisation. Engaging female leads and the perversion of fairy tales are two of McGee’s favourite creative springboards, and starting points that he has leveraged again in Akaneiro. For McGee, the female lead is an interesting archetype precisely because there are so few of them. “I think that the Alice games proved that there was a very large female audience out there that are interested in the types of games we typically, as male gamers and as a male-dominated industry, think they’re not going to want to play,” says McGee, adding that 50 per cent of people who bought the original Alice and its sequel were female. The concept for retelling Little Red Riding Hood in Japan first sparked for McGee when he read a book called The Lost Wolves of Japan by Brett Walker. “I’m not sure what had inspired me to read that book, but that was a retelling of the history of wolves in Japan, and the decimation of wolves in Japan,” says McGee. The book lingers particularly on the era of their extinction during the Meiji restoration. Emperor Meiji was a radical moderniser who advocated the newly introduced American practice of cattle ranching. Until that time, wolves had been considered noble creatures that existed symbiotically with the Japanese as they kept deer and other herbivores from decimating crops. However, with the reclamation of large parts of wilderness in Hokkaido and Sapporo, and with the introduction of herds, the wolves naturally became adversarial to a new class of ranchers. 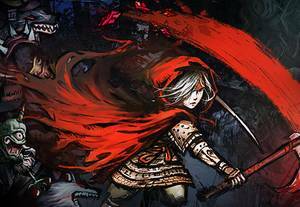 It wasn’t until the game entered development after the release of Madness Returns that the premise eventually evolved and crystalised into what it is today. Now, Red and her oath sisters are Akane, members of an order whose purview has expanded from wolves to include all demons and ghosts from Japanese folklore. Only motifs from Little Red Riding Hood remain. Spicy Horse’s approach to game design also diverges from standard practice. Whereas many studios will start by outlining the gameplay elements they wish to use first, Spicy Horse starts at the concept phase in writing or in art, says creative director Ben Kerslake. Settling on the aesthetics and the theme first is hugely beneficial in one very important regard: after brand, these are the elements that resonate with players most, and it’s the reason Spicy Horse’s games are so conceptually engaging. But if art direction is first, that necessarily means game design is second, and it probably goes some way to explaining why the studio’s games are more highly regarded for their presentation than for their gameplay. I think that’s a model that deserves to die. I think over the years it deserved a lot more hatred than it got from developers and consumers, and just about everybody. But they were very effective in making sure that people loved their masters. Spurning the publisher model puts the onus on everything from investment to marketing back on Spicy Horse, and it's something that McGee and the studio are spending a tremendous amount of time learning, he says. Regardless of what business you’re in, there are times where a publisher can be of service, says McGee, but instead of working with a one-stop shop, he and the studio are now free to pick and choose smaller, specialised agencies with expertise in a particular field the company requires assistance with. 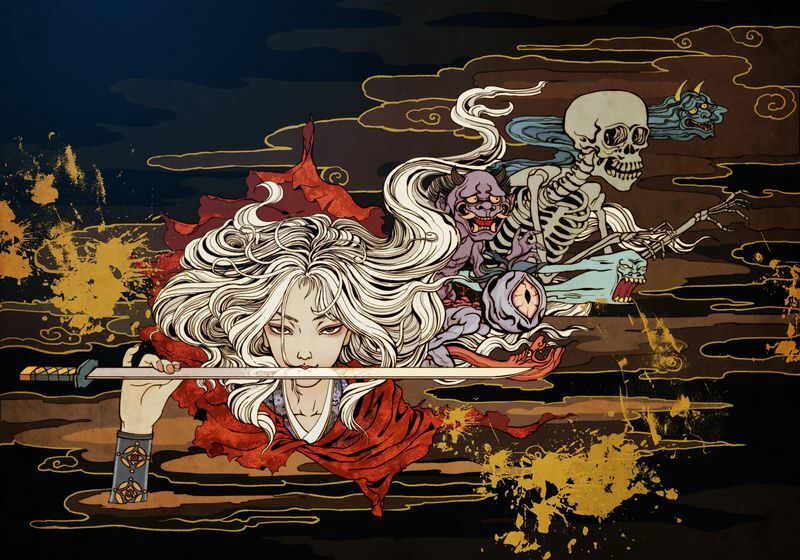 The biggest challenge right now is discovering the right way to monetise Akaneiro – and other titles on the studio's slate – and it’s a question that cuts straight to the sustainability of Spicy Horse’s revised business. The answer is to educate gamers who perhaps have become accustomed to free content, and who may balk at the suggestion that they should pay for anything. McGee refers to a poorly informed comment he read recently on Kotaku that asked aloud why any consumer would pay a developer to make a game when that’s already their job. 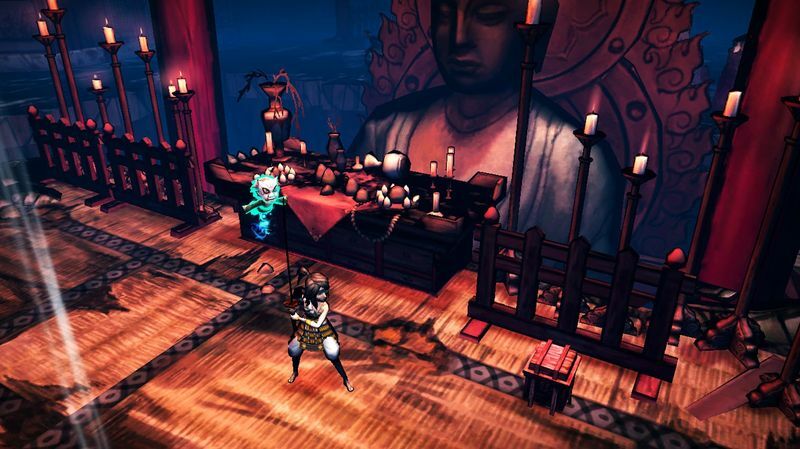 Akaneiro: Demon Hunters is currently in closed beta. Interested parties can apply to playtest the unfinished game by signing up to Spicy Horse’s newsletter. Dark Horse to produce comic series. Money to "realise the most complete version of the game". ARPG scrapes by funding goal.